I hope you all have a fabulous valentines day!! Remember to share with your love ones how much you love them but not just today, everyday! 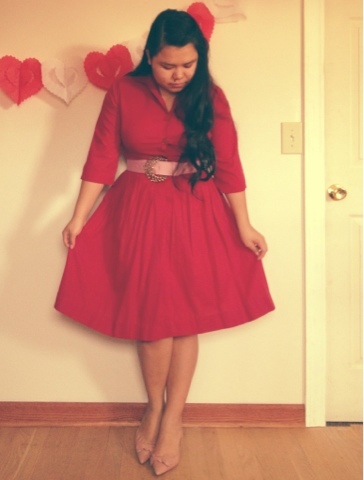 Dress and belt: vintage thrifted, shoes also from the thrift. I'm loving this dress! It is just so perfect for Valentine's Day!